Friday, April 26 – 8 a.m. to 7 p.m.
Saturday, April 27 – 8 a.m. to 5 p.m.
Sunday, April 28 – 1 to 5 p.m.
Monday, April 29 – 8 a.m. to 5 p.m.
Download our Native Plant Guide 2019 to start planning your native landscape! Our customers find plants at affordable prices and enjoy supporting the mission of the arboretum. Our repeat customers tell us how pleased they are by the quality of our plants – and how well these plants are adapted to Kansas’ challenging climate. Those who live with hard Kansas clay, wet in the spring and dry in the summer, tell us these plants not only survive – they thrive! 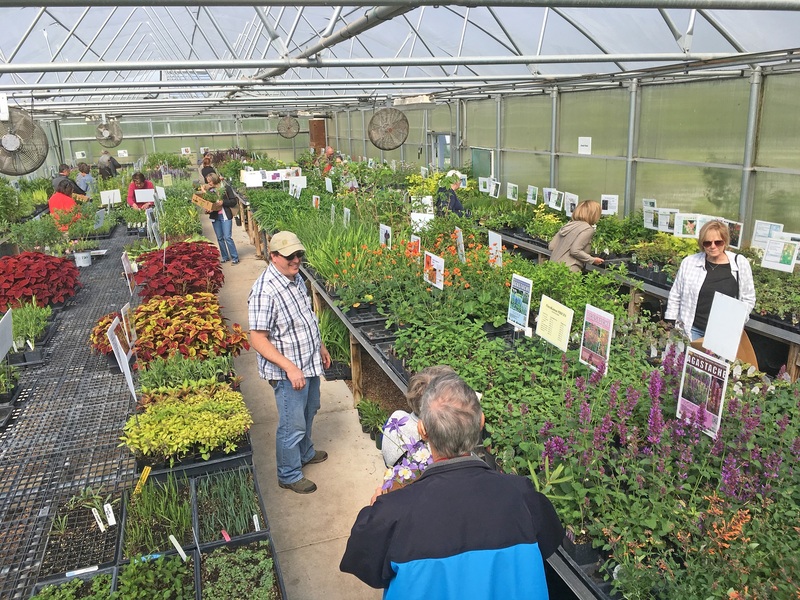 Hundreds of varieties of plants are available, many locally grown. Knowledgeable staff and volunteers are on hand to answer questions and give suggestions. Staff and volunteers will encourage you to select plants that will develop into a ‘permanent’ garden, one that will come back year after year and will thrive without constant watering or frequent applications of pesticides and fertilizer. This kind of prairie garden is resilient to wind and drought and will reward you with four seasons of continuous beauty. Butterflies, songbirds, hummingbirds and many beneficial pollinators will share in this innovative and ecologically balanced oasis. All proceeds from the plant sales support the mission of the arboretum. If you aren’t currently a member, or need to renew your membership, save yourself some time at the sale and take care of it using our Online Membership Form. Then just come ready to take advantage of your coupons or discount at the Members Only Day and for the Public Days! Download and peruse the Native Plant Guide 2019! Attend one of our Native Plant School Classes and let us help you design your plot!